Who doesn’t like “free stuff”? Promotional Products play a key role in any company’s marketing strategy, and they are often used as a way to market to both clients and employees. This blue stainless steel water bottle was chosen by Millipore Corporation because of their corporate mission to “be green.” This bottle was distributed to employees on Earth Day and is now available on their company store. This is a popular giveaway handed out by hospitals, banks, schools and manufacturing companies all year and especially during the flu season. Some of the kids staying at Children's’ Hospital Boston will get to cuddle with one of these cute bears! This product was chosen by the Children's’ Trust to give to the young kids as a “pick me up” during their stay at the hospital. These 2-gigabyte flash drives are used as giveaways for Electronic Environments, often used as handouts at trade shows and other client events. The employees at Millipore will stay warm with this jacket that was a reward when they completed training for the Six Sigma Program. The company offered different colors based on the level of training that the individual employee received. The last point is potentially the most significant. The CPI for advertising specialties beats all forms of media (except billboards). Recent studies have shown that using custom printed promotional items have the lowest CPI over television, radio, newspaper, and sometimes even billboard ads. 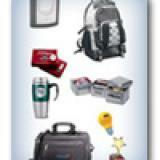 The bottom line is that promotional products can be one of the most effective forms of marketing. They are a tangible, useful and cost-effective way to touch your most valuable prospects, and, now are proven to get results. As with any other marketing tactic, they aren’t a magic solution, but when used in conjunction with other tactics, they can play a critical role in the success of any campaign.